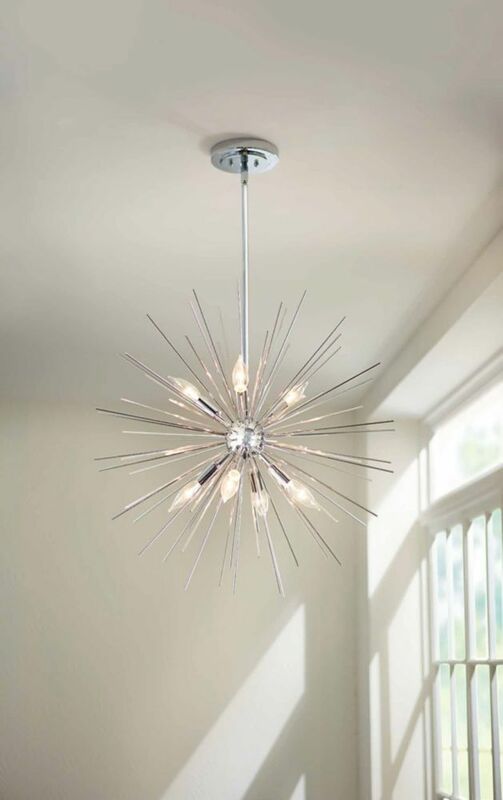 The Altino 7-Light Pendant is the perfect light for any room in your home. Beautiful polished chrome finish. The E12 bulb base gives broad flexibility in bulb choices. 1 Year Limited Warranty. Please call 1-800-986-3460 for additional information. Altino 7-Light 40W Chrome Pendant The Altino 7-Light Pendant is the perfect light for any room in your home. Beautiful polished chrome finish. The E12 bulb base gives broad flexibility in bulb choices. Altino 7-Light Pendant Light Fixture in Chrome is rated 5.0 out of 5 by 1. Yes, light includes additional vertical rods to vary the height from 24in - 52in.